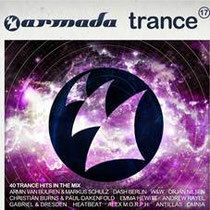 The Armada Trance series was recently released, bringing you the latest tracks of 2013. Going strong for nearly six years, the popular compilation keeps track of the latest trends of the ever-evolving trance scene. The latest edition, ‘Armada Trance Volume 17’ includes tracks by Armin van Buuren, Markus Schulz, W&W, Dash Berlin, Solarstone and many more. The compilation is loaded with current big tracks and possible future classics from the entire spectrum of trance music. There’s music from rising talents such as Omnia, KhoMha, Matt Davey, Andrew Rayel, Aimoon and renowned names such as Judge Jules, Gabriel & Dresden, Airbase, Orjan Nilsen, John O’Callaghan and many more. It’s out now.